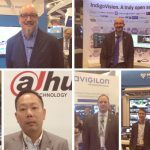 Home - 2018 - April - ISC West 2018 is a wrap! A special thanks to all who came by our booth at this year’s ISC West show! We’re always excited to take part in this event. This year held special significance for ONVIF as it served as the kickoff for our 10th anniversary celebration as a member-driven standards association that is about to release its 6th profile! Talk about busy! 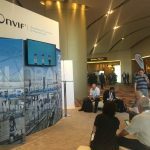 Throughout the show we highlighted on our social media channels how important our different member companies are to ONVIF as an organization – whether they have been members for 2 or 10 years. 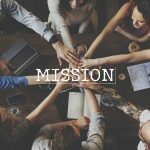 We would not be the de facto standards association we are today without the continued support and innovative minds of our member companies. 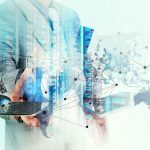 Check out our Twitter @ONVIF to see some of the participating companies. In addition to these events, we were happy to support Stuart Rawling of Pelco by Schneider-Electric, who tackled the topic of “Interoperability: The Engine Running Safe Cities.” In his presentation, he explained to attendees how multi-discipline security standards offered by ONVIF can specify parameters for video surveillance, access control and other essential operations of a safe city command center. 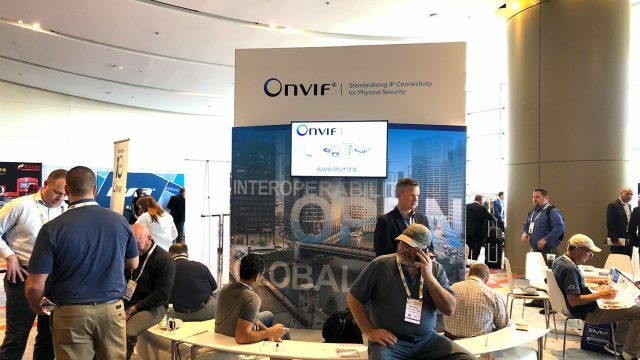 Thank you to all the member companies who participated in this year’s event, and thank you for continuing to bring the ONVIF mission to life!